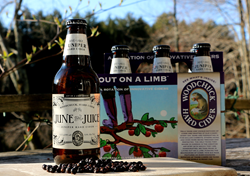 Woodchuck Hard Cider has released June & Juice, the eighth installment of their popular Out on a Limb series. A rotation of innovative ciders, the series releases a new style from the cellar every 90 days. June & Juice will be available while supplies last until July 2016. Like a classic gin, the Woodchuck Cider Makers steeped juniper berries, rose petals, and orange peel into their small batch hard cider for this new release. The botanicals were combined in the Cidery’s extraction tank, a custom piece in the cellar used to filter the hard cider through such quality ingredients. 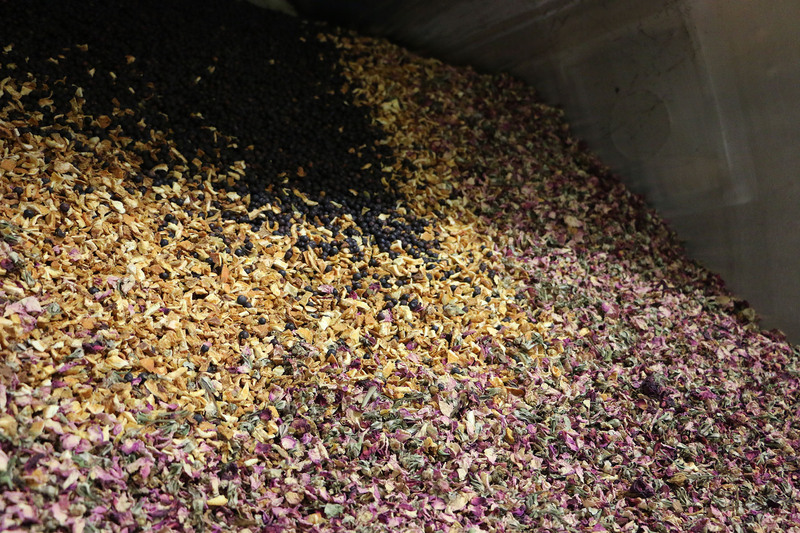 This process yielded a botanical aroma and a semi-sweet fresh apple taste with notes of juniper and citrus. June & Juice (5.5% ABV) has a suggested retail six-pack price of $10.99. Introduced in 2014, Woodchuck’s Out on a Limb® is an innovative series that highlights the most creative and unique styles that come out of the Cidery. While the six-pack container stays the same, the bottles change every 90 days to feature the newest cider variety. June & Juice will be available in limited quantities nationwide through July. For more information or to request hi-res imagery, contact Caitlin Stroupe at cstroupe(at)vthardcider(dot)com or (802) 398-6958. Vermont Cider Co. introduced the U.S. to the craft cider category 25 years ago. Dedicated exclusively to cider making, they are the proud producers of the original American hard cider, Woodchuck®, west coast native Wyder’s® Cider, and importers of Magners® Irish Cider and Blackthorn®. With an unparalleled focus on quality and innovation, the cider producer leads the category with the most premium and pioneering new ciders, crafted using only the finest ingredients. With two award-winning Cider Makers, Vermont Cider Co. both produces and distributes from their Cidery in Middlebury, VT, guided by the passion of their fans, their creativity, and their home within the green mountains.